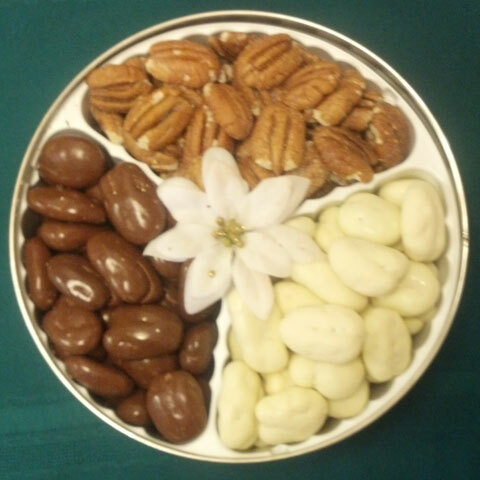 ROASTED & SALTED PECANS, MILK CHOCOLATE COVERED PECANS, AND WHITE CHOCOLATE COVERED PECANS. NET WT. 28 OZ. CAN NOT SHIP IF TEMPERATURES ARE ABOVE 75 DEGREES.